Digital releases fix issues caused by 64-bit operating systems using 4+ GB RAM. Retail releases have shadow and reflection issues on modern GPUs. See Incorrect shadows and reflections. Make sure to run the game as an administrator. See Privilege Level. Silent Storm Gold Edition. Can be run without Steam. 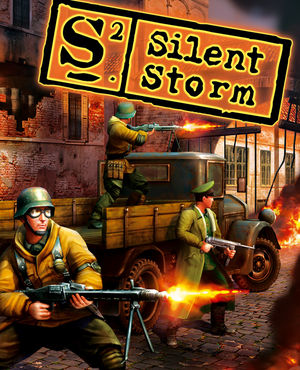 Silent Storm Gold Edition contains both Silent Storm and its expansion Sentinels. Demo versions are available for Silent Storm and Sentinels. Included in the Silent Storm Gold Edition. Delete or rename the following files from these paths. Fixes some game breaking issues near the end of the game. Comes with an already included d3d9.dll which fixes the shadow issues. Patches the game to version 1.2. Patches the game to version 1.1. Sentinels has native widescreen support. Use this for Silent Storm. Fake windowed mode. See Windowed. 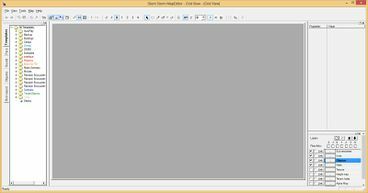 Set setvar gfx_fullscreen = 1.00 to setvar gfx_fullscreen = 0.00. For the expansion go to <path-to-game>\Silent Storm Sentinels\cfg\s3config.cfg. A cracked executable is required for these fixes. These fixes are only needed for the retail versions of the game. Digital versions are already patched and fully working. Update your game with the 1.2 Patch. Find <path-to-game>\Silent Storm\game.exe then patch it. Go to offset 0x9bae or 39854. Replace the highlighted 0x74 with 0xEB and save. 00009B90 00 FF D3 52 57 FF 15 38 22 8B 00 8B 45 A4 50 E8 ...RW..8"...E.P. 00009BA0 1C C4 3C 00 83 C4 04 E9 01 0D 00 00 3B C7 74 2E ..<.........;.t. For Sentinels, search for 3B C7 74 2E on the same string and replace 0x74 with 0xEB. Only use this fix if the very first one doesn't work. Huge performance hit on Nvidia videocards, even though with the fix the game runs fine on ATI cards. Extract d3d9.dll to <path-to-game>\Silent Storm. The game might simply lockup on certain setups, poor performance overall. Extract libwine.dll, wined3d.dll and d3d9.dll in the installation folder of Silent Storm. This fix also applies to Silent Storm: Sentinels. Shadows cast by buildings may still occasionally appear incorrect due to how the render engine works. Download the archive from here and extract its contents. Go to the Microsoft SQL Server folder, then run setup.exe as an admin. 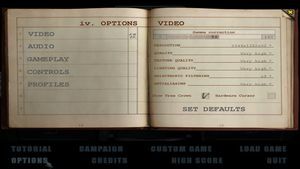 Open Silent Storm Editor folder and move the files to the installation folder where game.exe is located. Disconnect from the current user or restart the computer in order for the MySQL server to start. Set the executable to run as an Admininistrator. The first startup may take a few more seconds, if the window doesn't show up at first Alt+Tab ↹ to find it. ↑ 2.0 2.1 File/folder structure within this directory reflects the path(s) listed for Windows and/or Steam game data (use Wine regedit to access Windows registry paths). 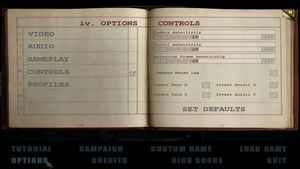 Games with Steam Cloud support may store data in ~/.steam/steam/userdata/<user-id>/254960/ in addition to or instead of this directory. The app ID (254960) may differ in some cases. Treat backslashes as forward slashes. See the glossary page for details.